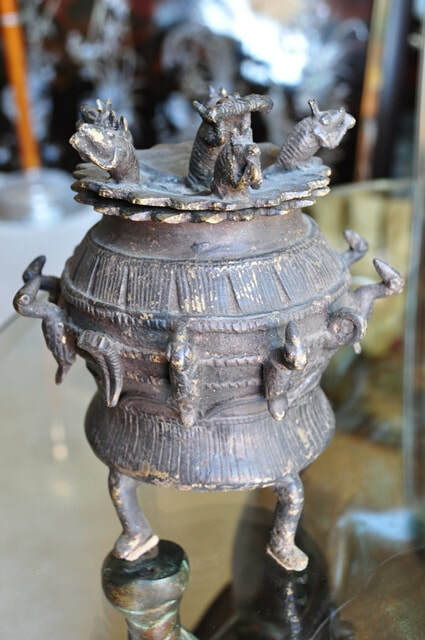 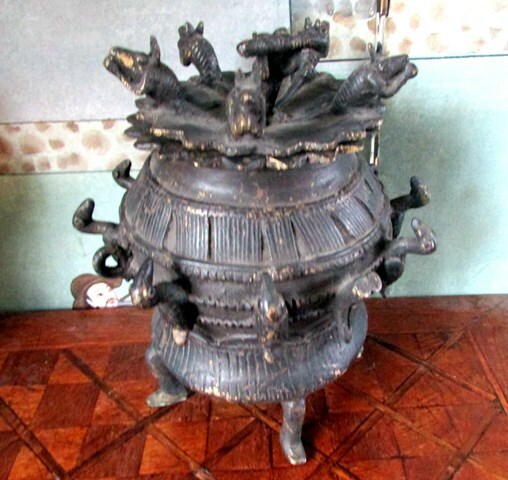 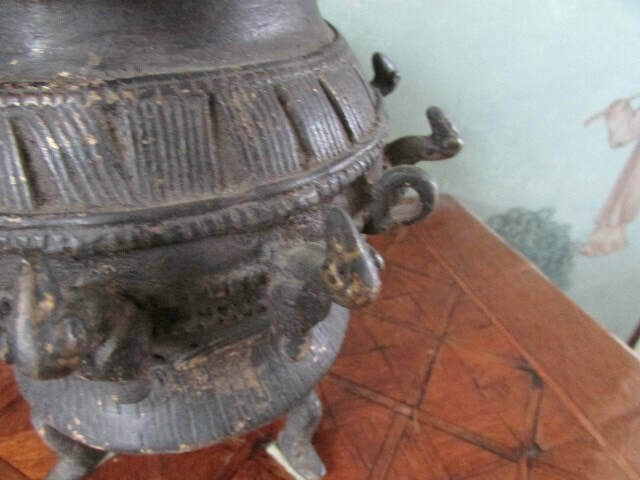 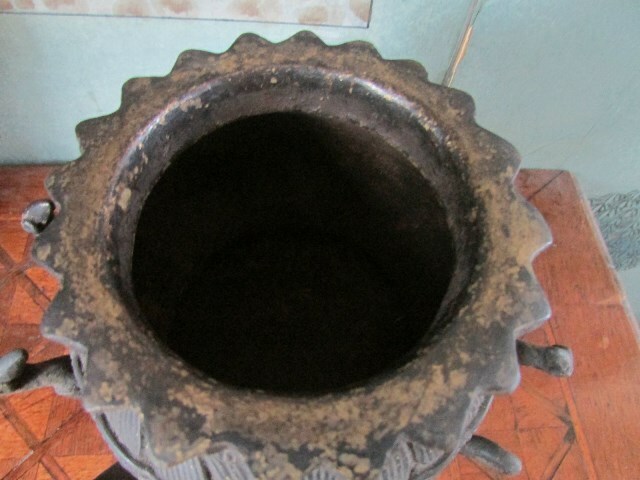 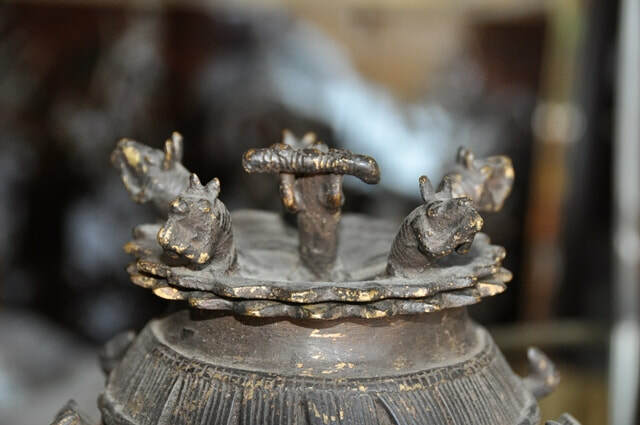 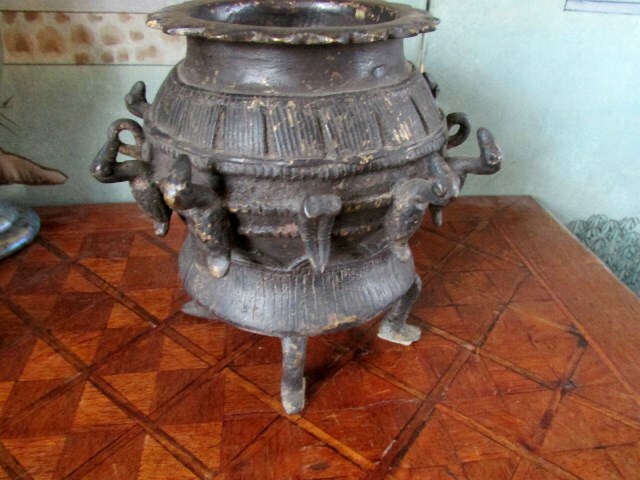 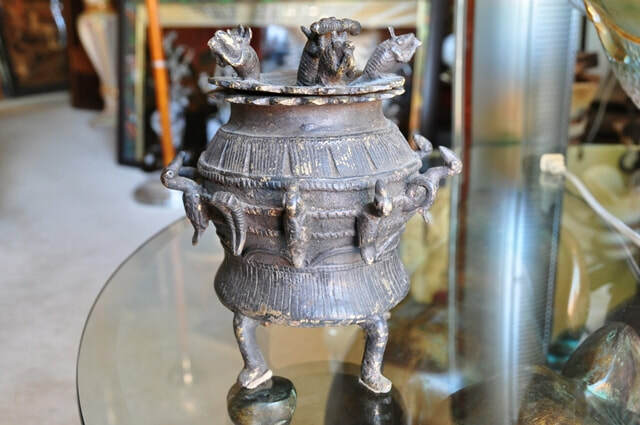 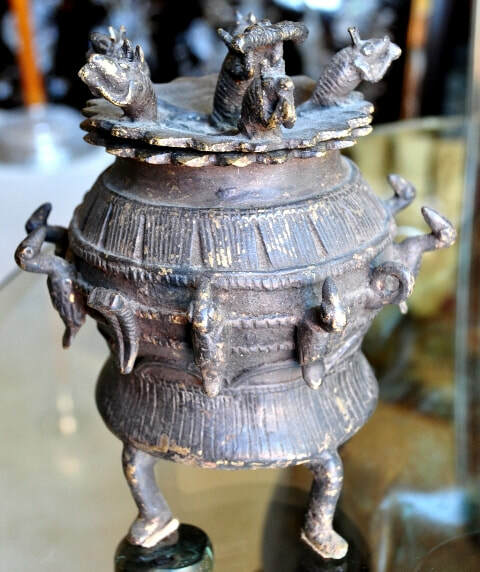 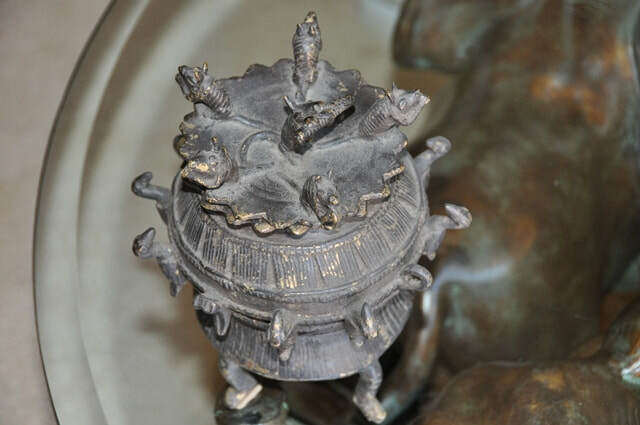 This is a cast bronze kuduo (vessel with lid) from the Ashanti (Asante, Asanti) tribe of Ghana, West Africa. 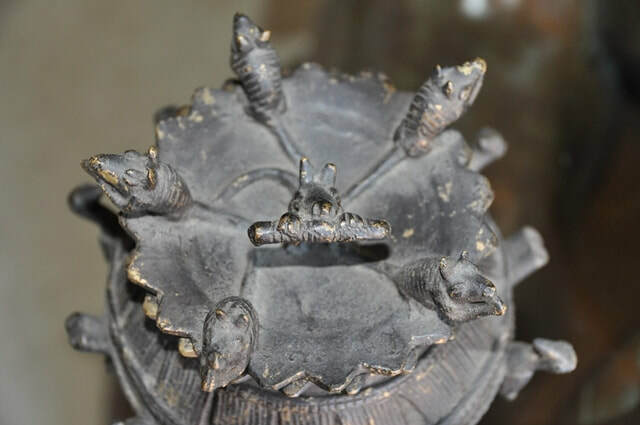 There are 8 bird figures looking up, surrounding the vessel. 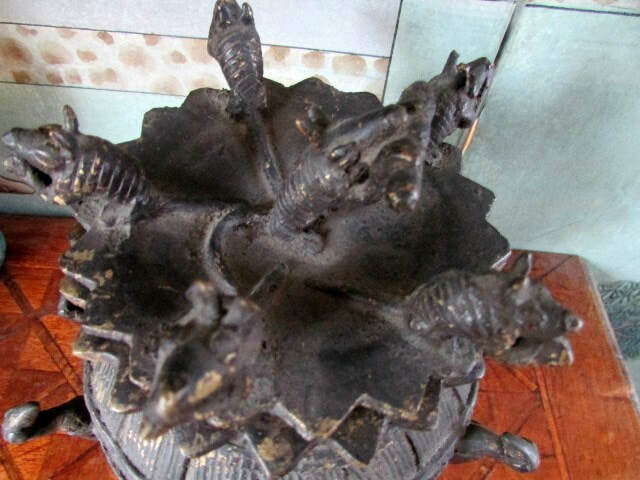 On the lid there are 6 rat or mouse figures. 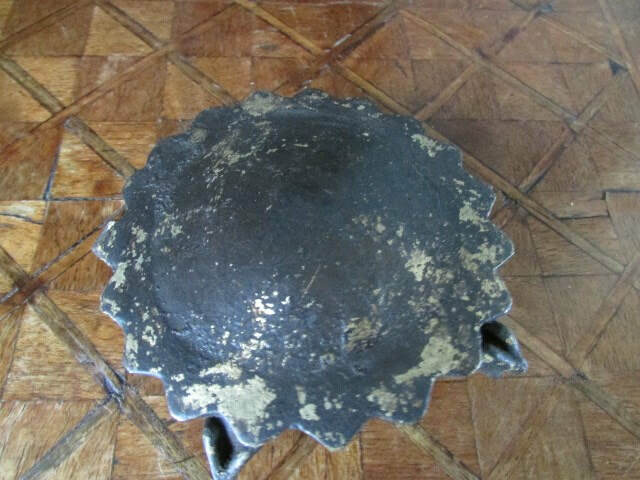 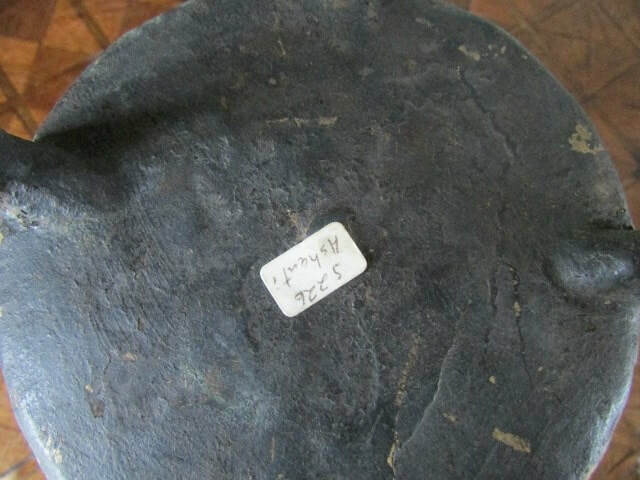 It is about 8.25" tall, 7" wide and weighs about 4.5 lb. 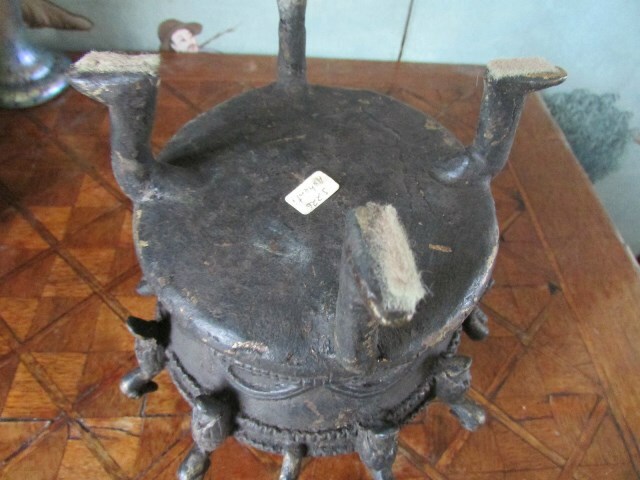 This item came from a 70 year old estate collection.